BACK TO WHY PRIMARY PREVENTION? Home > Programs > Community Drug Action Teams NSW > Why primary prevention? > What works? What should we do when there’s insufficient evidence on which to build our project? People can sometimes feel confused or become stalled if they can’t find any direct evidence on best practice when building or delivering a particular community project. This doesn’t mean we can’t take action. But it does mean we need to think very carefully about our response, and ensure that we generate useful knowledge when planning and delivering community ‘interventions’. We should always start from what’s known – this includes being aware of ‘what not to do’, based on what’s previously been proven to be ineffective in reducing AOD harms. Avoiding processes or procedures that are recognised to have failed should be our first commandment. Remember, ‘lacking evidence’ is not the same as having none. We can start from where the evidence stops and seek out the most promising path. The ‘path’ might be what has worked for a similar problem, or with a similar target group, but not been tried before in your specific circumstance. It’s fine to try a new approach, as long as we’re generating useful knowledge, and we evaluate our work. When we do this, we are contributing to future reductions in AOD harm. 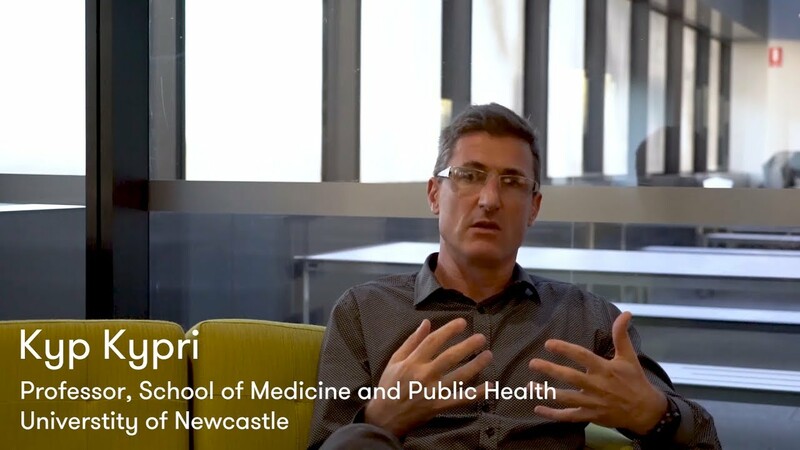 Watch this short video from Kyp Kypri, Professor in the School of Medicine and Public Health at the University of Newcastle, to find out more. The need to address trauma and loss. The need to address social determinants of Indigenous inequality. The need for Indigenous people to be equal partners at all stages. The need for Indigenous ownership. Drug prevention for Aboriginal and/or Torres Strait Islander youth: What works? What is the form of awareness-raising campaign or education? What is the purpose of the awareness or education? What will be the call to action? Is there a clearly defined audience? Although these types of programs can be useful, the benefits will likely be limited if they are not run alongside other policy measures. Engaging with parents to equip them with the skills, knowledge and strategies to talk openly with their child about alcohol and other drugs (AOD) can help to delay the uptake of AOD by young people. Does the program model itself on an existing evaluated program? What are parents’ beliefs and views of AOD use – do they support it? Schools can be a good setting for providing young people with accurate information about alcohol and drugs. However, one-off events – such as bringing a former user into schools to lecture about the dangers of use – are not effective, and have the potential to backfire. If you are considering an education program for secondary school students, CLIMATE schools is a free, ready-to-implement program developed in Australia by the National Drug and Alcohol Research Centre (NDARC), School of Psychiatry, and the NHMRC Centre of Research Excellence in Mental Health and Substance Use at the University of New South Wales (UNSW), Sydney, Australia. It is downloadable from the CLIMATE school website and includes advice and materials for teachers and materials for students. Is it based on the Principles for School Drug Education? Is it informed by the national policy of harm minimisation? Is it modelled on an existing program or theory of drug education? Does it deal with licit and illicit drug use? Does it treat drug education as a health and safety issue? Is it conducted by trained teachers, preferably with training in health/drug education? Is the drug education ongoing, builds on and reinforces prior learning and delivered prior to potential experimentation? Effective drug education involves multiple sessions – six-plus along with later booster sessions. Drug education is evidence-based, age appropriate and relevant to student experiences, interests and individual learning needs. Does it provide interactive teaching strategies that build student’s knowledge and skills for problem predicting, problem solving, critical thinking, refusal, relationships and help-seeking? Role playing could be used as long as it is delivered by a teacher trained to use role playing effectively. Scare tactics can have the opposite effect, as some programs may increase a child’s interest in AOD. Using lived experienced people (e.g. former users) to deliver messages. Vested interests, such as tobacco, alcohol or fast food industries, have a history of providing funding for programs but they are often. ineffective in reducing use of their products. One-off talks to young people, especially by those who have experienced AOD use (e.g. former addicts), can encourage experimental use and risky behaviour. Behaviour change programs can be run in a variety of settings, and may incorporate elements of awareness raising and education. Achieving sustained changes in behaviour is difficult. Measuring the changes can be complex and expensive. Autonomy is important to people older than two years; the more we seem to tell people what to do, the more we invite resistance. People arrive at different stages of readiness for change and we should know how to tailor our approach accordingly and facilitate progress along this dimension. Modifying through the setting is one way of changing behaviour. Learning what strategies are successful is just as important as learning what isn’t. Thomas Edison once said, “I have not failed. I found 10,000 ways that won’t work”. Experimentation, creativity, and adaptation to the local community are necessary to keep exploring what will work — and work most effectively — in primary prevention. Keep the key principles in mind, as they should be helpful in guiding the creation of new and innovative programs. However it’s very important to avoid using the strategies that past programs have already discovered to be unsuccessful – and sometimes even to backfire. Failure is a necessary part of experimentation and exploration – and no failure is a real loss as long as we learn from it. Faggiano, F, et al., (2005), School based prevention for illicit drugs’ use (Review), s.l. : Cochrane Database of Sytematic Reviews. Caulkins, J, et al., (2004), What we can-and cannot-expect from school-based drug prevention, Drug and Alcohol Review, Vol. 23, pp. 79-87. Stead, M and Angus, K, (2004), Literature review into the effectivenss of school drug education, Education Department, Edinburgh. Teeson, M, Newton, N.C and Barrett, E.L., (2012), Australian School based prevention programs for alcohol and other drugs: a systematic review, Drug and Alcohol Review, Vol. 31, pp. 731-736. McBride, N, et al., (2004), Harm minimization in school drug education: final results of the schol health and alcohol harm reduction, Society for the study of addiction, Vol. 99, pp. 278-291. Midford, R, et al., Alcohol prevention: What can be expected of a harm reduction focused school drug education program, Drugs: Education, Prevention & Policy, Vol. 19, pp. 102-110. Orygen Youth Health Research Centre, (2010), Parenting guidelines for adolescent alcohol use: parenting strategies – preventing adolescent alcohol misuse. Melbourne : Univeristy of Melbourne. Ward, B, Snow, R and Aroni, R, (2010), Children’s aclohol initiation: an analytic overview, Drugs: education, Prevention and Policy, Vol. 17, pp. 270-277. Toumbourou, J, et al., (2013), Reduction of adolescent alcohol use through family school intervention: a randomised trial, Journal of Adolescent health, Vol. 53, pp. 778-784.